It’s Friday night and I’ve got a sweet tooth for a milk shake and thanks to this weeks’ mail, I have a coupon for a dollar off any size milk shake at Arctic Circle. I don’t enjoy sitting in the drive through and trying to figure out what I want so I thought I’d look online for the list of shake flavors and pick in advance. Much to my surprise, they aren’t listed on Arctic Circle’s website! This drives me crazy. I’ve had the same problem to a lesser degree with 7 Eleven not having anywhere you can check online for Slurpee. So I took one for the team, waited in line at the drive-through, ordered myself an Oreo shake, and made note of the flavors. Below is a complete list of the flavors available as of March 1, 2014. If this helped you, please do me a favor and share using the links below. Thanks! Thanks from a random person who found this through a google search! You made my night! Sweet! I have blog posts that get hundreds of hits a month, but truthfully, this is the article I have been watching to see if anyone reads it. 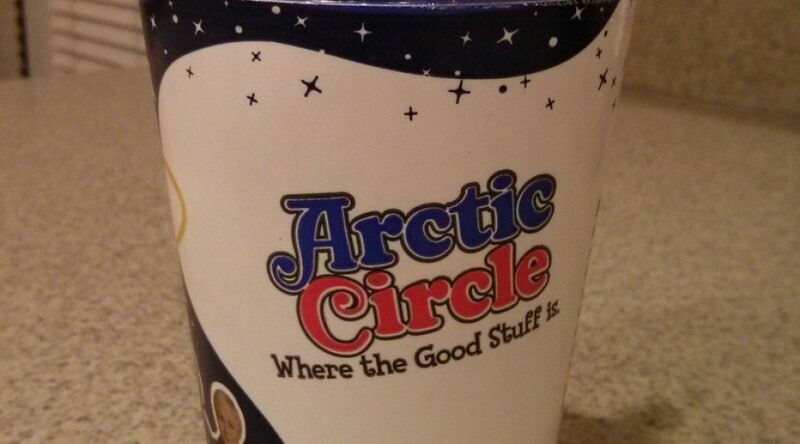 Glad to know that it’s helping fellow Arctic Circle fans! Thanks for sharing. Thank you so much for this, you made my husband’s life so much easier by putting this up for me to find. Thanks for commenting! That was my exact intent in writing it. I think we’ve all been there, and after a bad night, the last thing you want to do is make a decision when you don’t know what the choices are. Enjoy your shake! I feel ya Rachel… I just found this post because of a bad day. It made it so easy to find exactly the flavor I needed to perk me up, using this site. Exactly what I was looking for! Got the coupon as well! Thanks Joseph! Sweet! Just why I wrote the article. Glad it helped. You would think so, wouldn’t you? On the same note, I wish I could find a list of which flavors of slurpee are available at which 7-eleven. Do they not care, or not know that people are looking for these?! My mom just had surgery and she wants Arctic Circle for dinner, but I’m not able to drive and she definitely can’t drive so we’re preparing our order for someone to get it for us, so this came in very handy thank you for taking the time to do this, you are awesome! It’s things just like this comment that make it totally worth the time to write the article. Thanks and best of luck to your mom post surgery. Thank you for sharing this! I’m really indecisive, and it’s hard for me to go to a drive-thru (or just a regular restaurant). We recently moved close to an Arctic Circle, and being able to look up their list of shakes is really nice for me! You bet. I hate that same feeling of having 50 options and 5 seconds to choose one. Glad it could help. Natalie, thrilled to have helped! I am in Canada at the moment and just went to an ice cream shop and NOBODY was there. They are preparing to shut down for the season in a week because nobody comes in the winter. Seriously? A season for ice cream? In Utah ice cream knows no seasons! 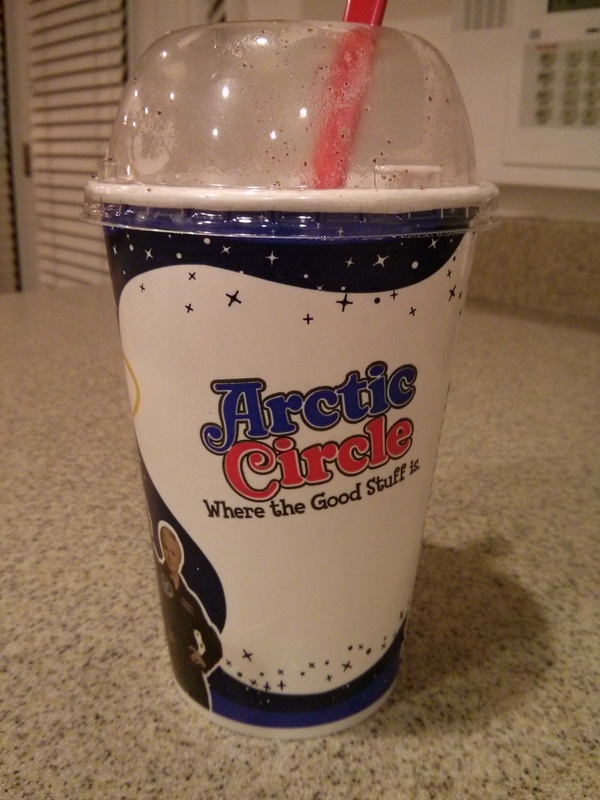 Thank you Arctic Circle for filling our ice cream needs all year round. Let’s face it, around here, EVERYONE needs this post now and again. Glad to have helped another winter time shake eater! Thanks for the info. I’ve a serious shake craving. What’s your favorite shake flavor you can recommend? I’m thinking brownie cheesecake? Glad I could help. 🙂 Oreo w/Mint is good, but I’m also a fan of simple ones like plain pineapple or strawberry (with real fruit). Really appreciate this list. Thank you! Wonderful! Thank you soooooo much from a pregnant mom trapped at home with 3 small sleeping kids. This made it possible so I could tell my husband what to pick me up on his way home from a late night work meeting. *laugh* You are so welcome! I hope he brought you the perfect shake after a long day. At home date nights are so much easier now. It can be a struggle getting ready kids to bed. My wife found your article and wrote me her top 3 shakes. I can leave as soon as the chidrens’ heads hit the pillows and get there before closing. Yay for grownup time. I couldn’t agree more. Glad you found it helpful. *laugh* Charity, that made me smile! Enjoy your fabulous milk shake for me. It’s definitely a milk shake kind of night! I absolutely needed this list tonight! Thank you! Damn you Joseph Turley! I arrived on your site for one of your tech posts (errors creating certs…grrrr!) and curiously clicked your food link…now I want a milkshake!!! That would go down well while working late on a some web service code. Now I’ll never get it down because I’ll be too distracted thinking about the milkshake. ROFL! That’s hilarious! Truth be told, I was in Canada doing some work early this year and after dinner, I just had to have a milkshake (it’s what I do when I travel). Drove 20 minutes away just to get one. I completely understand! Even here in Utah, we eat ice cream a lot in the winter. Best of luck with the code and go get yourself a milkshake. You deserve it. Yes! Just what I needed to get everyone’s order! Thanks for putting this together! You bet! Happy to oblige for all of us souls in need of a fatty sugar fix. Wow thank you I am on oxygen and my son in a wheelchair, I really wanted to know if it was worth packing up to go. Turned out we both couldn’t live without once we selected a flavor! Thank you! You really helped us out!